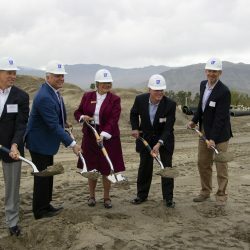 Today we broke ground at our Avenida Palm Desert project. This 200,000 square foot senior living community offers a unique lifestyle for active adults age 55 and better. 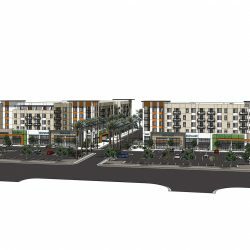 The construction will feature 161 one-bedroom and two-bedroom apartments ranging in size from 700 square feet to 1,150 square feet, as well as a great room, fitness and yoga center, creative arts studio, club room, theatre, bistro, private luxury dining room, and salon. 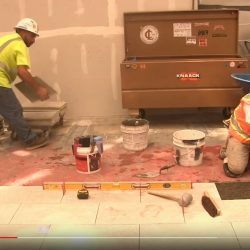 We are excited about this new milestone and can’t wait to see the finished product! Congratulations to Avenida Partners, KTGY, and all the trade partners involved. Thanks to our clients and partners for an amazing 2018. Congratulations to our teams for all the excellent work they’ve accomplished! 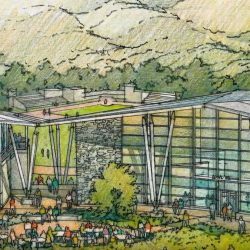 Opening Fall 2019, the new 66,000 square foot Borland-Manske Center will feature acoustically rich rehearsal spaces and performance rooms along with a state-of-the-art recording studio. 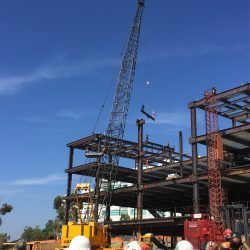 Snyder Langston is proud to be the builder of choice for Concordia University Irvine and looks forward to the opening of this new center! 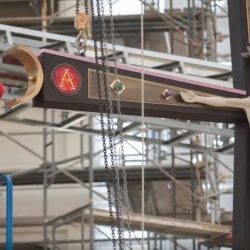 Take a peak at the latest update at our Christ Cathedral project located in Garden Grove, CA – the installation of the crux gemmata. Our Senior Superintendent, Greg McClure, explains the process of how the crux gemmata is designed, delivered, and installed. 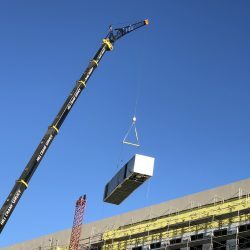 Mission Viejo MOB experienced a major milestone today – their first AHU lift! Congratulations team – fantastic work! 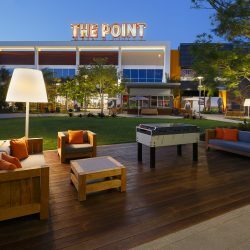 Located in El Segundo off Rosecrans Avenue and Sepulveda Boulevard, The Point was built to provide a blend of well-known retailers, eateries, and up-and-coming brands, including True Food Kitchen, North Italia, Prana, Madewell, Kendra Scott, and more. 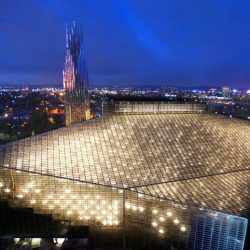 This luxurious and relaxing meeting place for residents of the South Bay features 115,000 square feet of lush landscaping, paved walkways, an interactive water fountain, dining terraces, and seating areas to allow visitors to enjoy live performance, activities and events. A huge congratulations to the entire team on this accomplishment!